Mold Removal. Free Estimates. 24/7 Service. When you have mold growing on your property, the last thing you want to do is wait another moment to contact the mold removal professionals at Rewind Emergency Services. Mold damages surfaces, destabilizes structures, and leaves everything smelling musty. 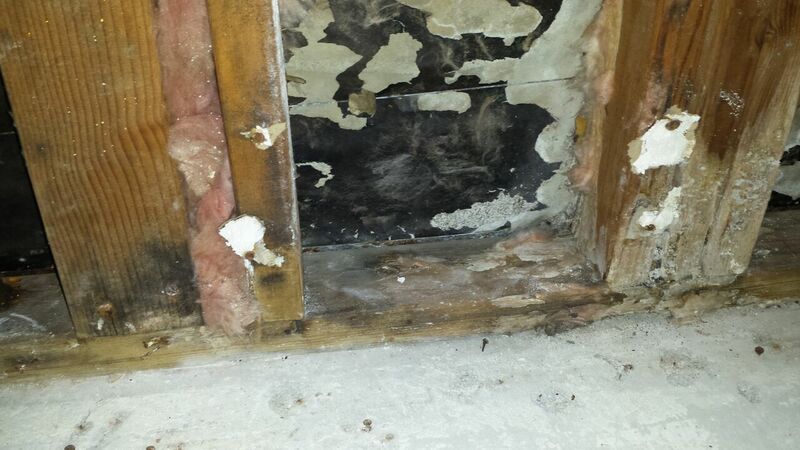 Mold loves hard-to-reach places like crawlspaces, attics, basements, and the spaces between your walls. In fact, if you can see mold on the inside wall of your structure, chances are that the damage on the other side is ten times worse! 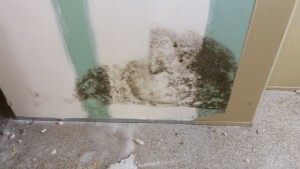 Without professional treatment and removal, as well as remediation of the source of the moisture that made the area so inviting in the first place, the mold in your home or office will keep coming back, again and again. Whenever you’re dealing with a mold situation, call the experts at Rewind Emergency Services and we will send a member of our mold removal team right away. Rewind Emergency Services is your best choice for a fast-response mold remediation team, we offer the fastest, friendliest service in your area. Call (714) 494-9940 or email sales@rewindes.com us to learn more. The bad news is that if you can see or smell mold on your property, it’s already too late. 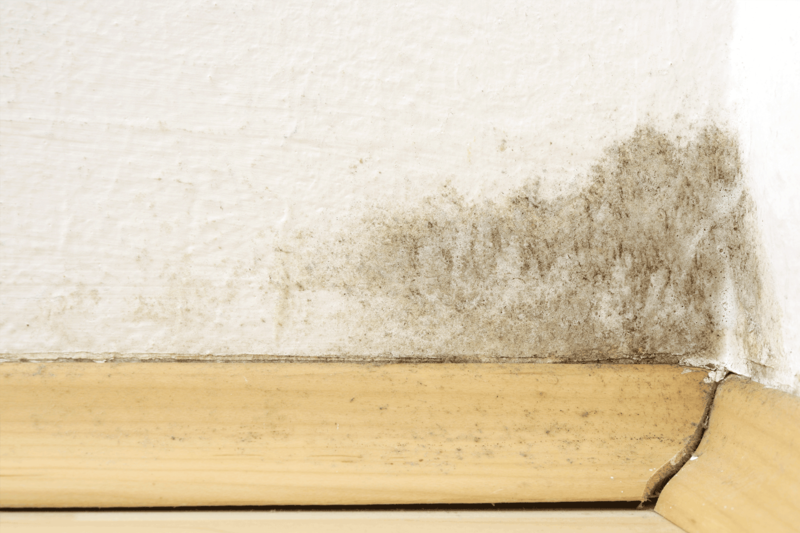 Mold often presents as black or green speckles, spreading discoloration, or fuzzy growth—and while most mold is relatively harmless, there are types of mold, particularly “black mold”, that have been linked to serious health problems. If dangerous “black mold” has been discovered in your building, the health consequences can be grave, including cancer, lupus, and bleeding lungs. Unfortunately, the early signs of exposure to this particular mold mimic the common cold: headaches, congestion, difficulty breathing, and nausea. If you or anyone is experiencing these symptoms with no apparent cause, first contact a healthcare professional, but after that call the professionals at Rewind Emergency Services. Our mold removal team are all certified by the Institute of Inspection Cleaning and Restoration Certification (IICRC) in the latest mold detection and remediation techniques. We can locate and resolve your mold problem without risk to ourselves, and when we’re through, so is your mold problem. Mold is a very efficient force of nature. Mold spores are microscopic, airborne, and invisible to the naked eye. They spread through the air currents, through contact with skin and clothing, they are tracked in on shoes, pets, and every other thing that leaves or enters your front door. Whenever there is water damage in a property, the threat of mold is very high. Water evaporates, raising the humidity, and no mold spore can resist the temptation of a nice humid corner to grow in. Mold consumes organic materials, which can include fabric, upholstery, some carpeting, wood, and even certain types of laminates. Not even stone is safe because if the stone is porous and retains water, mold, fungus, and bacteria can grow there. Any time your home or business has suffered water damage, it’s a good idea to contact the professionals at Rewind Emergency Services for an assessment. We can dry your property out much faster than evaporation alone can manage, and that can make the difference between a quick and painless cleanup, and a protracted battle with the legions of mold that have taken up residence in your environment. Following the event of a fire, the problem of cleanup is particularly difficult, because of possible structural damage, and the contamination by soot, smoke, and other chemicals. It only takes mold 48 to 72 hours to completely invade a structure, and its fast-growing nature means fast-growing damage to your property. Mold can even affect the resale value of your property (nobody wants to inherit your mold problem) so call the professionals at Rewind Emergency Services at the first sign of mold. We can evaluate, contain, and finally remove and remediate your mold problem. At Rewind Emergency Services, we pride ourselves on fast, friendly service—every time you call! Whether you’re recovering from water damage, or fire and water damage, the aftermath can be extremely smelly. Mold is known for its distinctive musty scent, a smell that can get into clothing and hair, and can be extremely difficult to get rid of. Mingle that smell with the lingering odor of smoke, and you may begin to despair of ever restoring your property back to its original state without that constant and pervasive reminder. When odors are affecting your environment, call the IICRC certified professionals at Rewind Emergency Services. It can be tempting for amateur companies and property owners alike to try to solve their mold problem on their own. The smell of spores can be covered up by sprays and chemicals, lending the illusion that the problem has been solved, and often the outward signs of mold can be wiped away . . . only to return again and again, along with that lingering stuffy mold smell. Unfortunately, once mold has become a problem, you really do need professional help. At Rewind Emergency Services, our mold removal team has been specially trained and educated in the latest methods of mold remediation. We use only eco-friendly, safe and non-toxic cleaning solutions, as well as techniques that ensure that no harmful spores remain in the environment. Your safety is important to us, and your health—and the health of your family, friends, and employees—is worth making a call to Rewind Emergency Services. Let us worry about your mold problem. We have the training, equipment, and experience to not only sanitize and remove mold, but also restore the affected area—no matter what type of damage has occurred. Rewind Emergency Services offers restoration services in the following categories: water damage restoration, fire and smoke damage restoration, sewage cleanup, and even remodeling! Since most of these types of damage can cause mold damage as well, Rewind Emergency Services becomes your one-stop restoration solution. Call Rewind Emergency Services at 1-714-494-9440 for more information today. "DARYL PIERCE IS WONDERFUL! He was honest and pleasurable to deal with. He exhibited integrity in work and was helpful in making repairs while keeping damage and impact to a minimum. He had exceptional follow through in dealing with my insurance company, and I'm very fortunate and appreciative of his work and efforts. He’s by far the best I've dealt with in water remediation/emergency services companies. Thanks Daryl!"